Here are the dates for our events we invite all women in business to GROW WITH US! Attending an event allows you to make meaningful connections, learn from inspiring guest speakers and grow your business. Non-members & guests are welcome! The Conference & Awards will feature approx 30 stallholders, amazing speakers and networking galore! The Awards night will follow the Conference - a night of celebration and networking - culminating in awarding 12 amazing women in business as the best in their field. 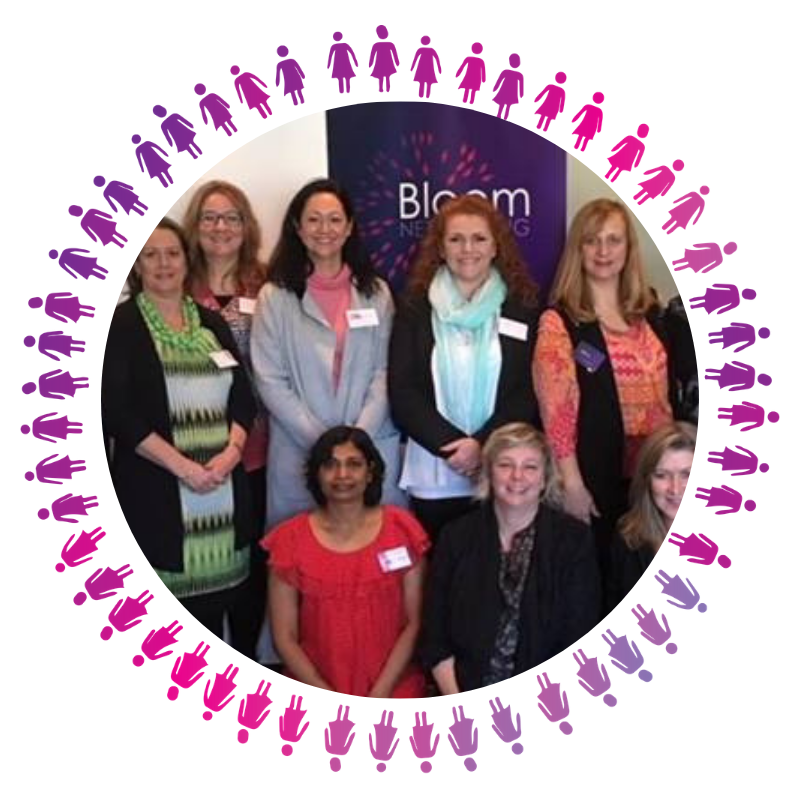 Bloom Networking meetings are a place for women in business to enjoy genuine connections, personal growth and business success. 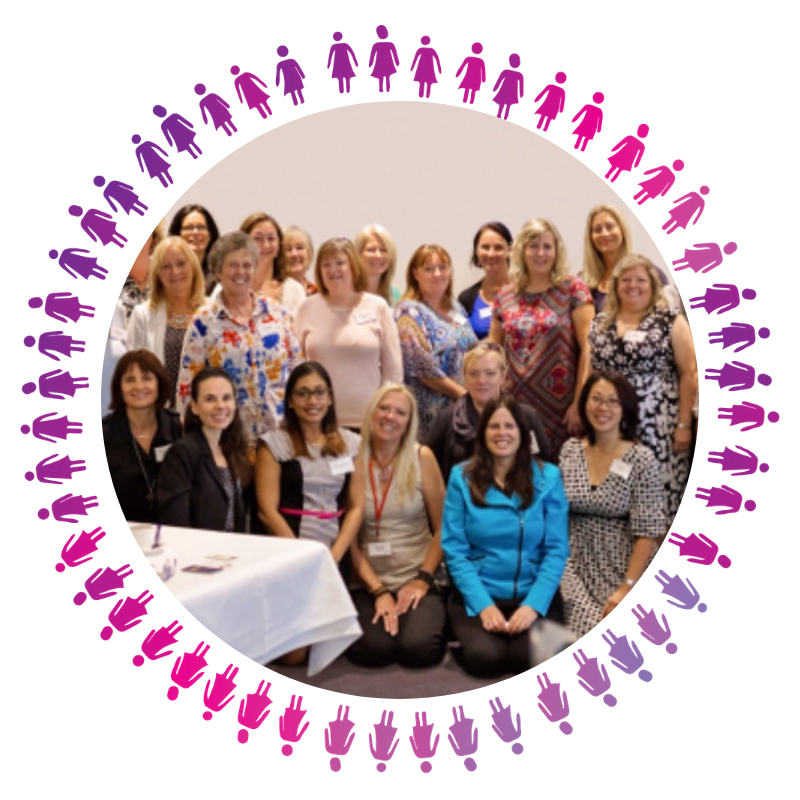 Connect with likeminded women to showcase your business, gain customers, form joint ventures, gain support and business skills. We offer expert keynote speakers, member pop up shops, speed networking and a Hot Topic of the month for discussion. There is something for everyone. Want to take your business to the next level in 2019?... You're going to need a Marketing Plan! 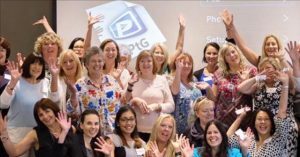 Our *combined* Bayside & Melbourne South East December meeting will leave you refreshed, excited and bursting with ideas for 2019. The *perfect* opportunity to celebrate your achievements this year with our fab Bloom and Motivating Mum members. 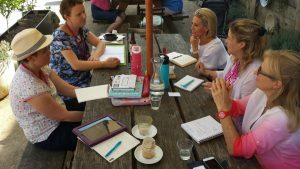 Get super focused [and super festive] at our *combined* Frankston & Mornington Peninsula December meeting. We'll help you get clear on your 2019 biz goals. Plus, because this time of year is Just. So. Busy, we'll help you get your Christmas shopping sorted too! to gain support and brainstorm business ideas on a regular basis. We are thrilled to share that Sarah Hudson - Liberty Advisor is Bloom Bayside's Guest Speaker for October! 🌸 How to grow a business from scratch. 🌸 Adapting to change/being adaptable. 🌸 How to work to live/ not live to work. Spanning over a twenty-year period, Sarah has grown a million-dollar business, starting out as a VA when her first daughter was born with 4 holes in her heart. Out of necessity and desire to be a stay at home mum, but with financial needs, Sarah has run several businesses over this time adapting and changing to market demands. Sarah lost her business in 2013, but that was the start to bigger and better things for herself and her family. 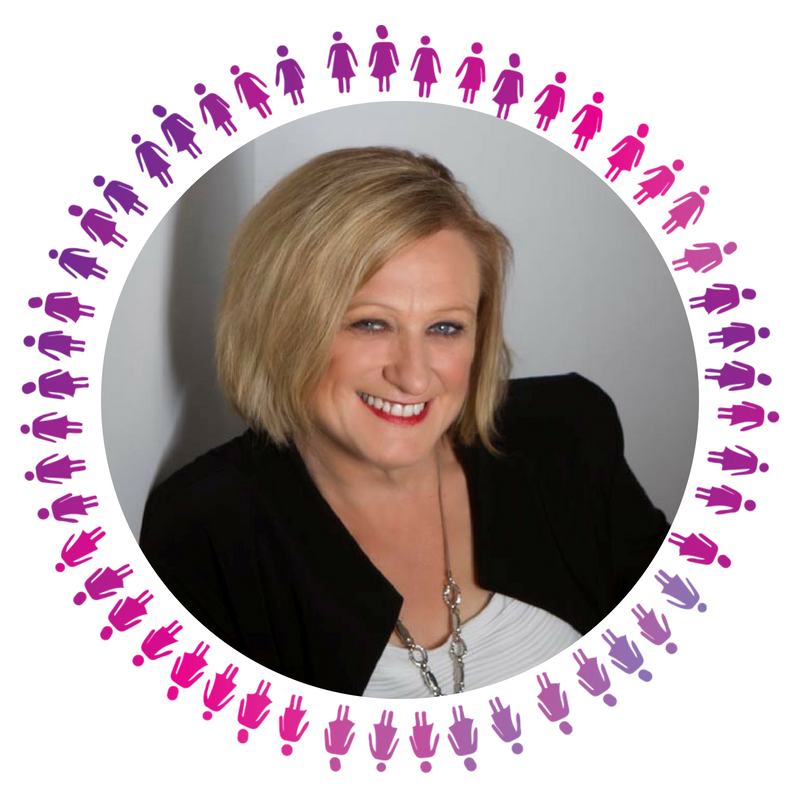 We are thrilled to share that Kirsten Flavell of Map Your Brand is Bloom Frankston's Guest Speaker for October! Kirsten will share how to use branded content to tell your brand's story. Do you understand your Brand well enough to tell your Brand’s story? Brand Clarity is vital prior to creating content. When you communicate with your ideal client you need to know the purpose and aim. Kirsten focuses on 5 aspects that she believes make up your brand. Once you are clear about your brand’s story you can communicate with your Ideal Client using relevant and engaging content. As a Brand Photographer, business owners approached Kirsten knowing they needed images but unsure what images they needed, and what they were going to do with those images. Which always came down to them not really understanding how to tell their brand’s story. Kirsten created Map Your Brand to guide business owners to understand their brand so they could tell their brand’s story with clarity. 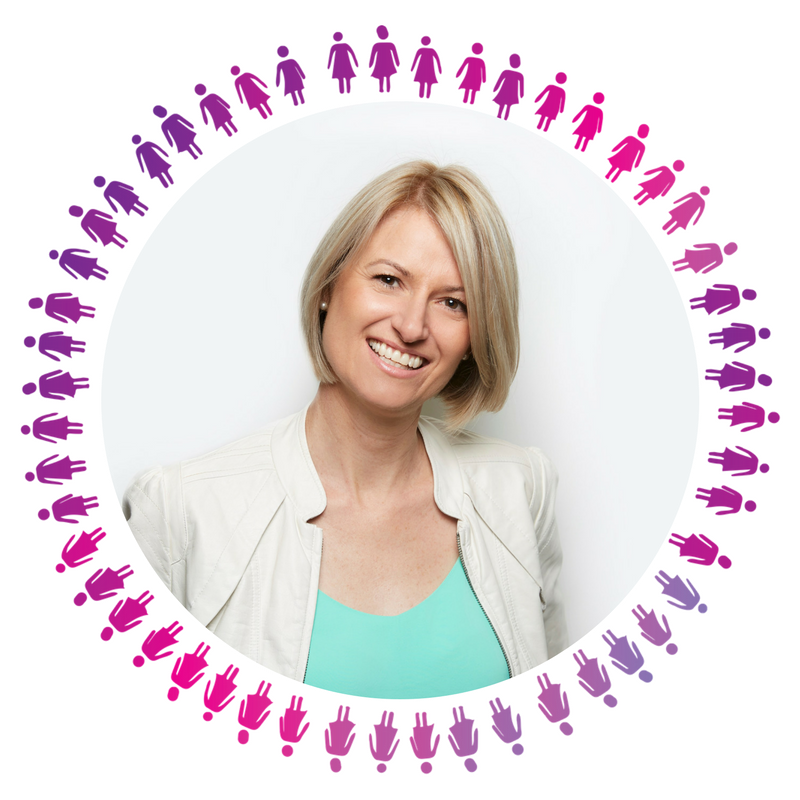 We are thrilled to share that Kathy Ashton of Flourish Nutritional Medicine is Bloom Melbourne South East 's Guest Speaker for October! Kathy will discuss The Health triangle: Your gut, liver and inflammation. During Kathy's presentation, we will cover how food impacts the gut bacteria and how these little guys are the corner stone of your health. Kathy will show you what causes ‘leaky gut’ and how this is the often the beginning of all autoimmune diseases. What the role of your liver plays in health, diabetes, thyroid disease and how all disease processes have a background in inflammation. Kathy Aston is an international award winning business-person and author, who understands the power of using food to heal the body. As a nutritional medicine practitioner she uses whole food, plant-based, oil free foods to produce amazing results, transforming lives through improvements in sleep, energy, sustainable weight loss and a reduction in many symptoms from chronic diseases. Through her programs, My Healing Kitchen home based events, clinic work and whole food supplements, Kathy believes that good health is only one decision away and starts with the very food you consume. 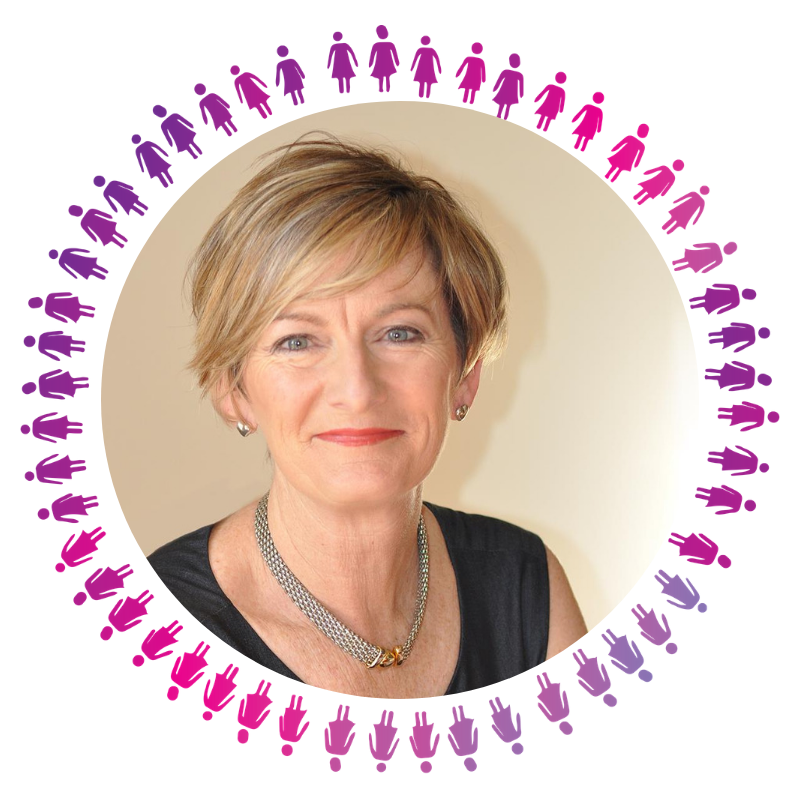 We are thrilled to share that Louise Thomson of Driving Your Life is Bloom Mornington's Guest Speaker for October. Louise will share tips and techniques to put well-being at the top of your daily agenda. In 2013, Louise became a joint founder of Driving Your Life – a program for people who are at the cross-roads in life and need guidance to make decisions to change gears. This includes well-being, career, relationships and business – a few of the many facets of a busy complex life. 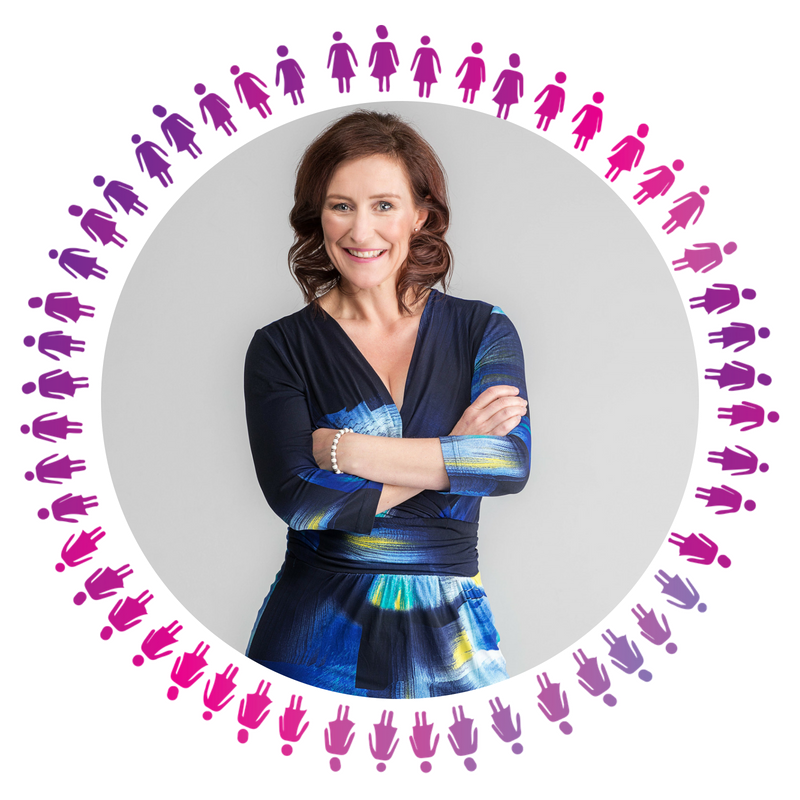 Louise designs and delivers practical leadership programs to achieve relationships which inspire others, minimise workplace conflict and increase collaborations, innovation and happiness. She enjoys the variety of clients from all sectors including individuals and businesses involved in: health, education, book publishing, compliance and law enforcement. Want to learn how you can earn more, work less and reclaim their freedom and brilliance? Bloom Bayside's Guest Speaker Kelly Kozaris is going to show you how to 'Monetize Your Magic' at our September meeting! Kelly will discuss how when visionary women tap into their inner magic they begin to reclaim their life and brilliance to become the richest, most alive versions of themselves! 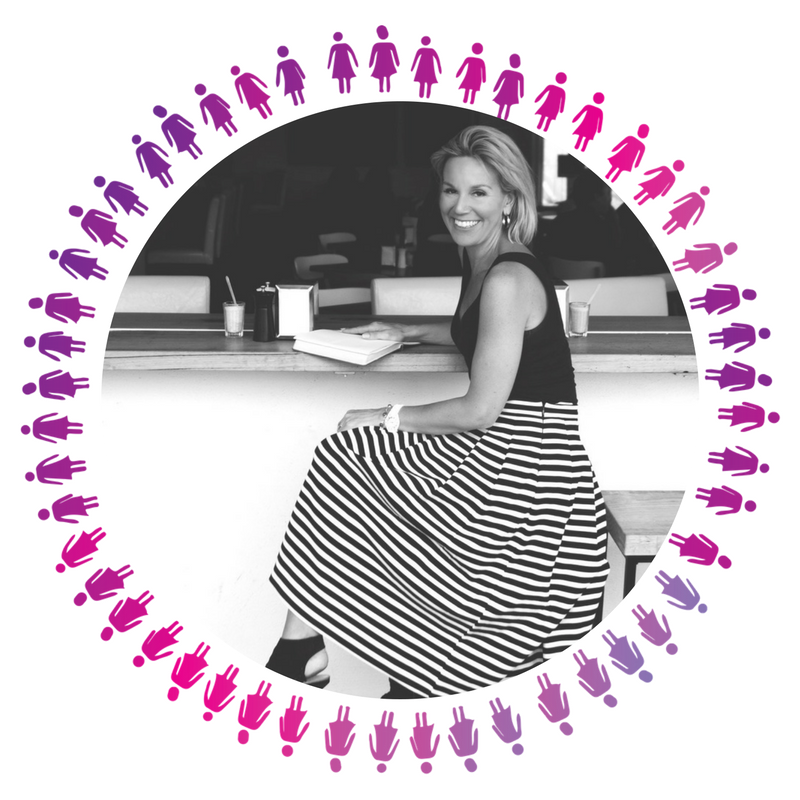 Kelly will also cover the stigma of money impacting entrepreneurial women and how shifting their mindset to earning unapologetically can improve their confidence, their results, and of course- their wealth! Kelly Kozaris is a transformational Leadership Expert, Performance Strategist and Lifestyle Entrepreneur. She ignites the entrepreneurial flair, unleashes purpose and unlocks revenue streams which accelerates success for female entrepreneurs, executives and teams around the globe. As a trained coach through Thought Leaders Global, she is a catalyst for exponential leadership, massive joy and creating lives and high impact businesses that create purpose, lasting change and legacy. 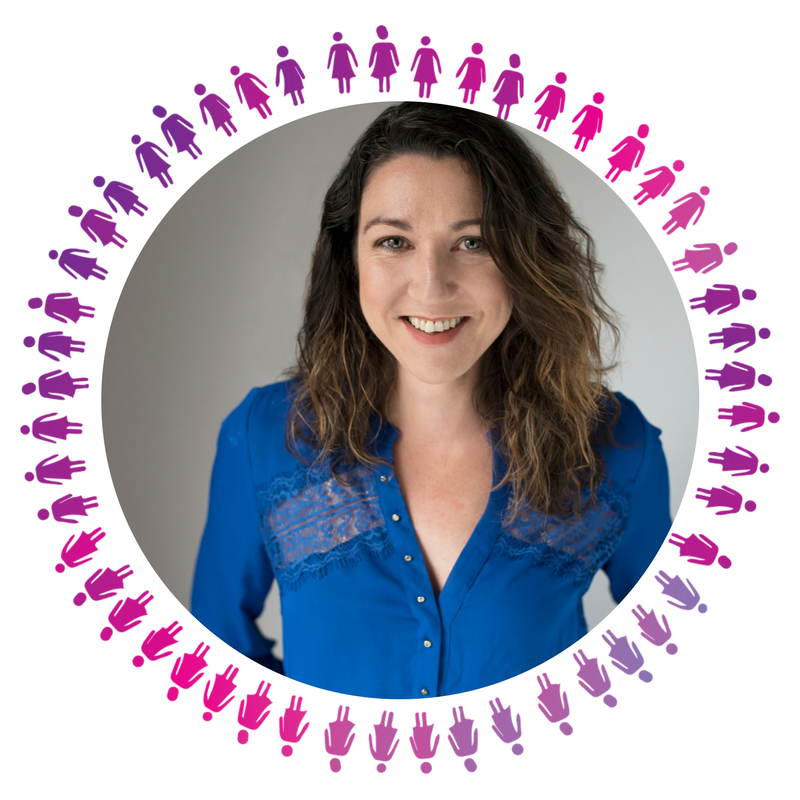 We are thrilled to share that Merrin Munroe of The Small Business Geeks is Bloom Frankston's Guest Speaker for May! Onto her 3rd career, Merrin runs 2 companies doing digital marketing, website design, and social media marketing. Before running her own business, she worked for a company that provided broadcast graphics and results systems for live sporting events. The role was very technical from setting up graphics hardware at sporting venues around the work, to liaising between developers and clients, and ensuring that all workflows were as automated as possible. This created an interest in technology and the desire to help small business to simplify their tech and stop trying to manage it all internally. She has also managed several databases for clients, installed sales software and trained staff at three 5 star hotels. She likes to think outside the box, and teach people about what is possible, rather than focus on current outdated or non existent digital strategies. Passionate about emerging technologies and the mobile space, Merrin is all about getting businesses to go Digital. And to stop thinking they can do everything themselves but instead focus on running a better business, and oursourcing the rest. 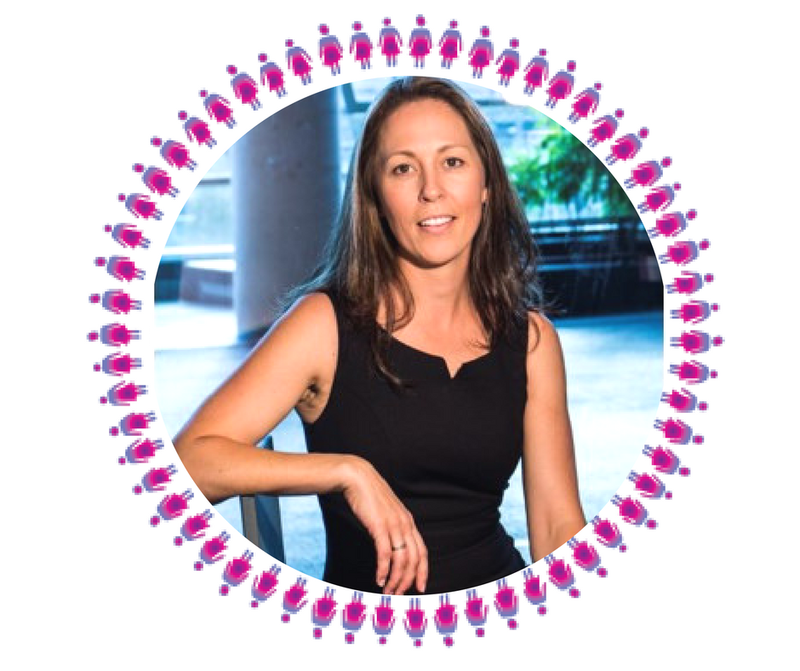 We are thrilled to share that Stacey Currie of Brand Print Australia is Bloom Melbourne South East's Guest Speaker for September! Stacey will share how to make hard choices easy for a change! Stacey has made a name for herself as a change expert. Her gutsy messages turn the traditional goal-setting approach of 'focus on what you want' on its head. By any standard, Stacey should be living on the streets, in jail, on drugs or dead. She ticks all the boxes when it comes to risk factors. 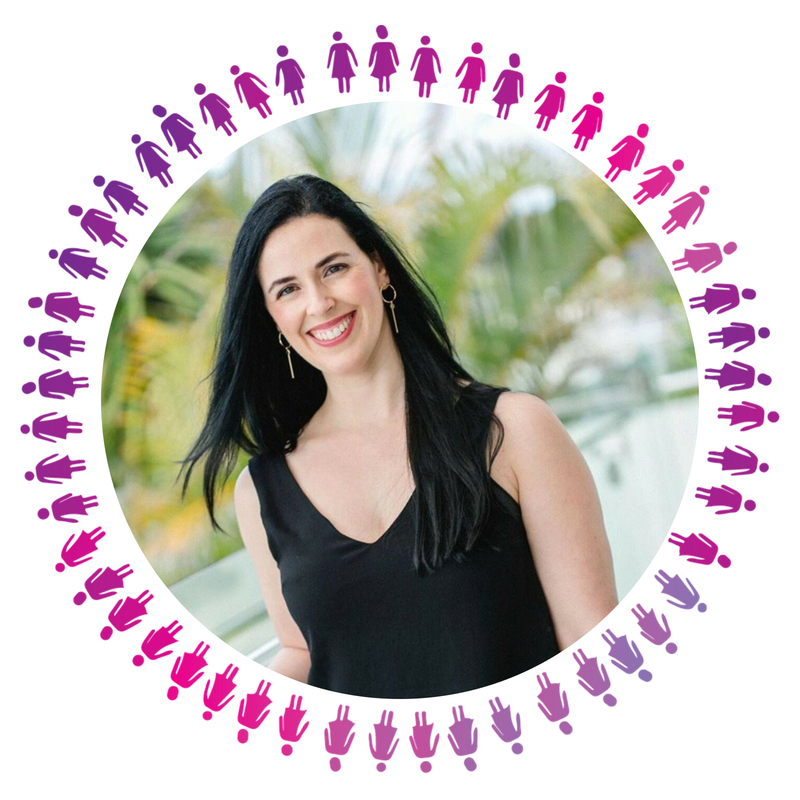 We are thrilled to share that Samantha Jansen of Platform 4 Success​ & Samantha Jansen Publishing​ is Bloom Mornington's Guest Speaker for September! Samantha Jansen is the founder of Platform 4 Success and Samantha Jansen Publishing. 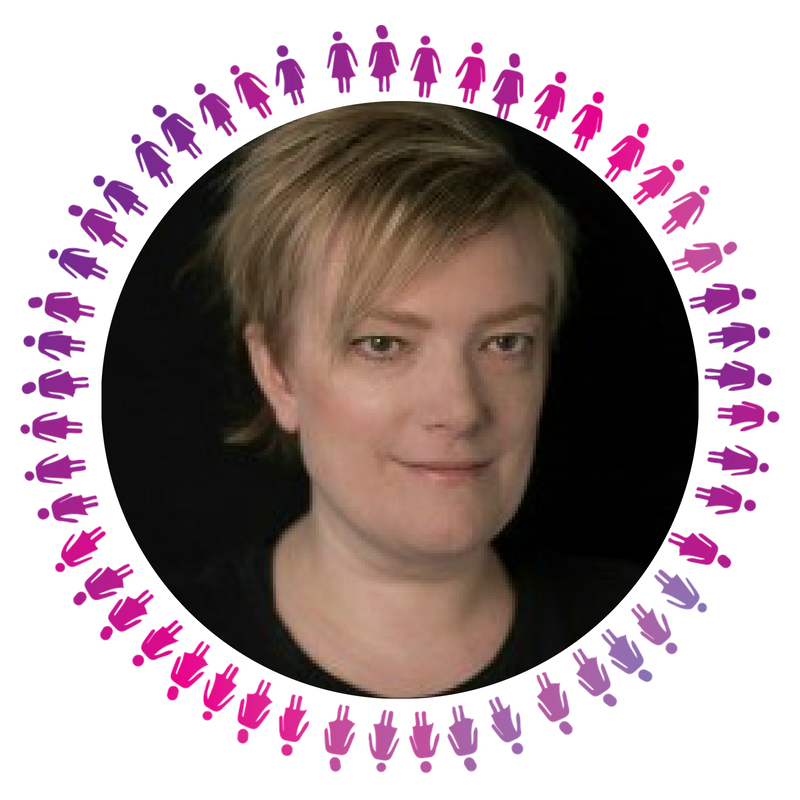 Samantha is also an international speaker, and author and self-confessed Social Media lover. Samantha is on a mission to help small business owners to build an influential profile and highly profitable business. As a self-confessed lover of social media, she helps business owners understand the power of social media in today’s marketing world alongside business scalability and personal branding through self-publishing – Write Your Own Book. Learn why 'Going Green' doesn’t have to cost the Earth with our Guest Speaker Jo Raydan of Gentle Safe Green. When Jo started using Tri Nature in 1991, her eldest son Chris, who was then four, had eczema. They had tried doctors, naturopaths, homeopaths – you name it they tried it! Within weeks of using the Tri Nature laundry and personal care products Chris’s skin began to improve. Jo was so impressed with how well they worked and the fact they were safe for our environment and around our children, she started promoting the products. Now 28 years later, Jo who is State Manager for Victoria and NSW and one of the top consultants in the company has a wealth of knowledge on chemicals in our home and the work place. We are thrilled to share that Margaret Hiatt is Bloom Frankston's Guest Speaker for August! Today more than ever the spoken word has never been more powerful. In business it is a necessity rather than an option. 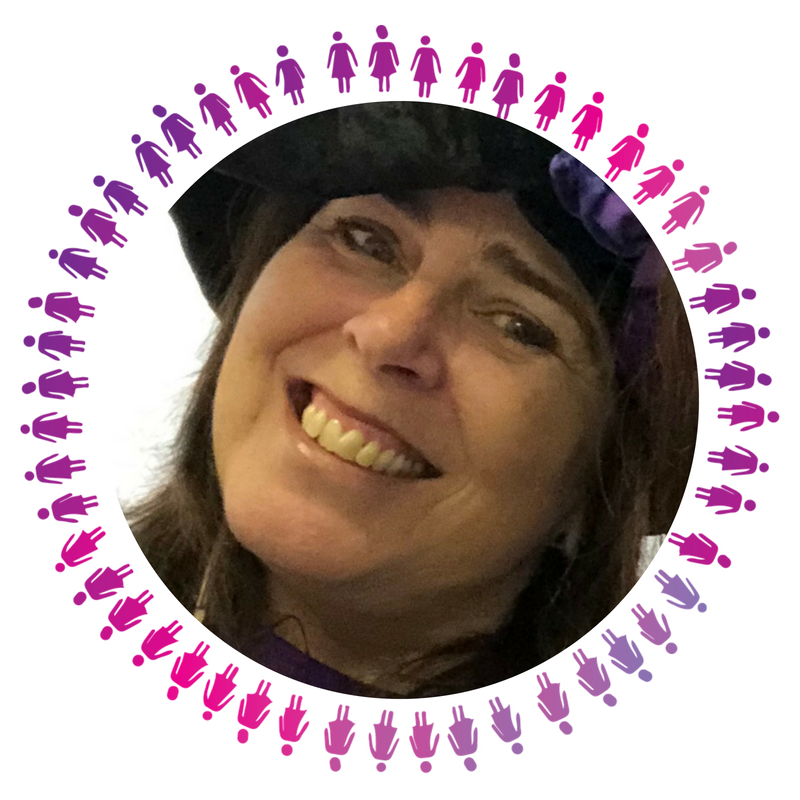 Margaret draws on her experience from overcoming shyness and fear to support others to also overcome their fears and build the confidence to speak up so they too can share their powerful stories and message with impact to influence others. After being retrenched from her position of Bank Manager, Margaret challenged herself and began her own business, coaching and mentoring. She continued to learn and show her resilience as she built her business and went on to overcome shyness and her fear of speaking and presenting to become an inspiration to women across the globe. Margaret went from stuck to standout, from fear to success, and continues to challenge herself to give more to her audiences and clients. Learn 3 keys to your sales success with our guest speaker, Frances Pratt of KISS to Sell – MEPowered Selling. Discover the reason you cringe when it comes to selling and how to overcome this. We will cover the 3 key mistakes most women make and how you can find your own successful sales style, so you can talk about your business and ask people to buy from you with grace and confidence. Even better than that she loves showing women the secrets of selling so that they can confidently talk about themselves and help their clients buy from them. Selling doesn’t need to be tricky or icky … and it is her mission to empower women to find their sales confidence. She is a sales coach and consultant and author of MEPowered Selling, The Coaching Program to unearth your personal sales style and system. 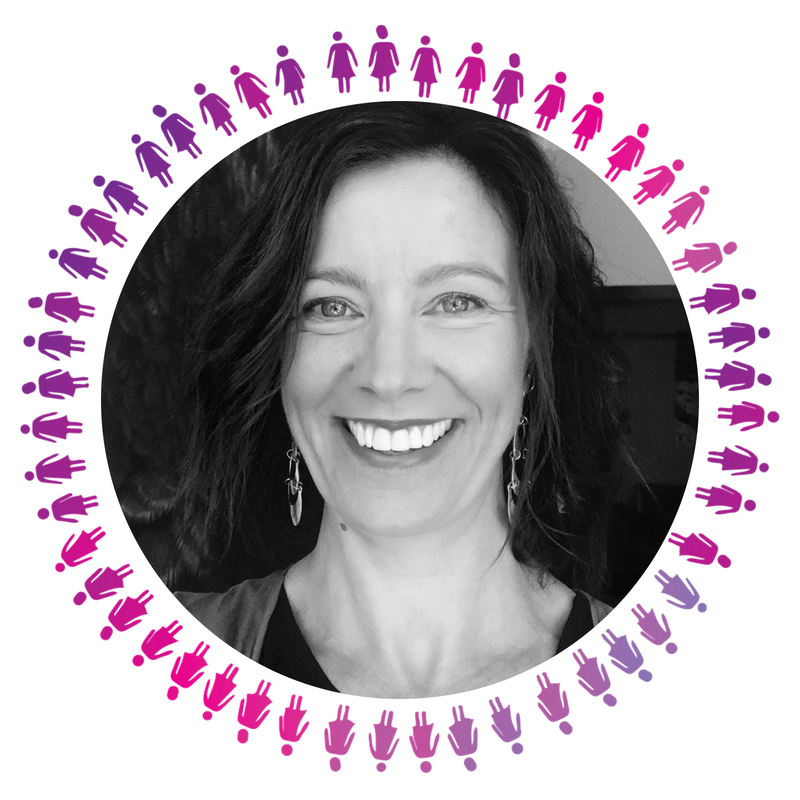 Hetti Ramp of Menopause Revolutionary will share how to move from 'Misery to Mastery' as Bloom Mornington Peninsula's Guest Speaker for August! 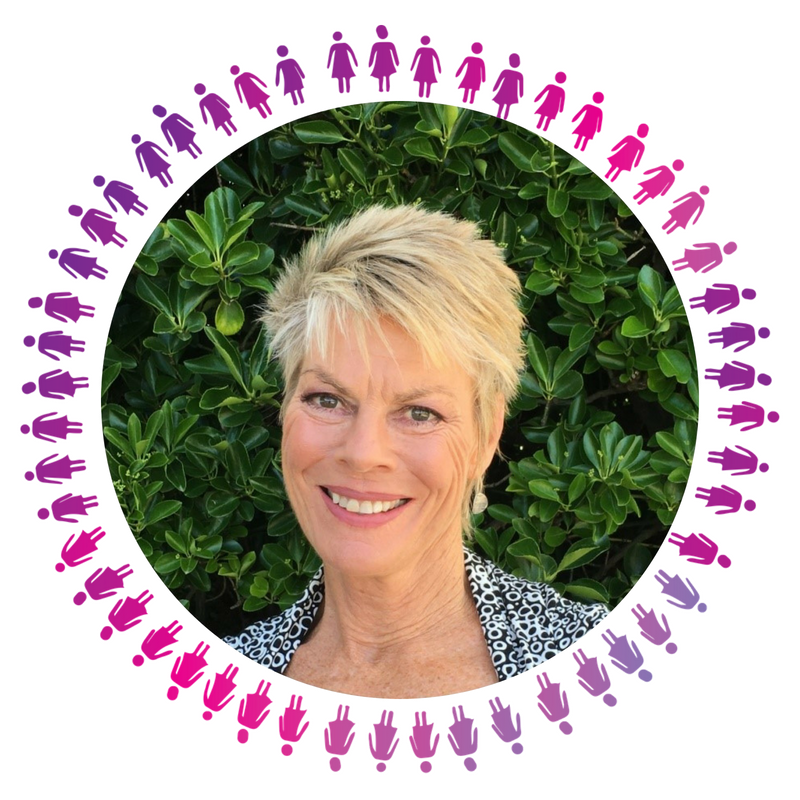 Hetti knows from her personal experience of eleven years that Menopause can make you feel dreadful – anxiety, crazy moods, hot & cold flushes, loss of intimacy and weight issues – sound familiar? Hetti's discovered a new approach that can help manage your symptoms. 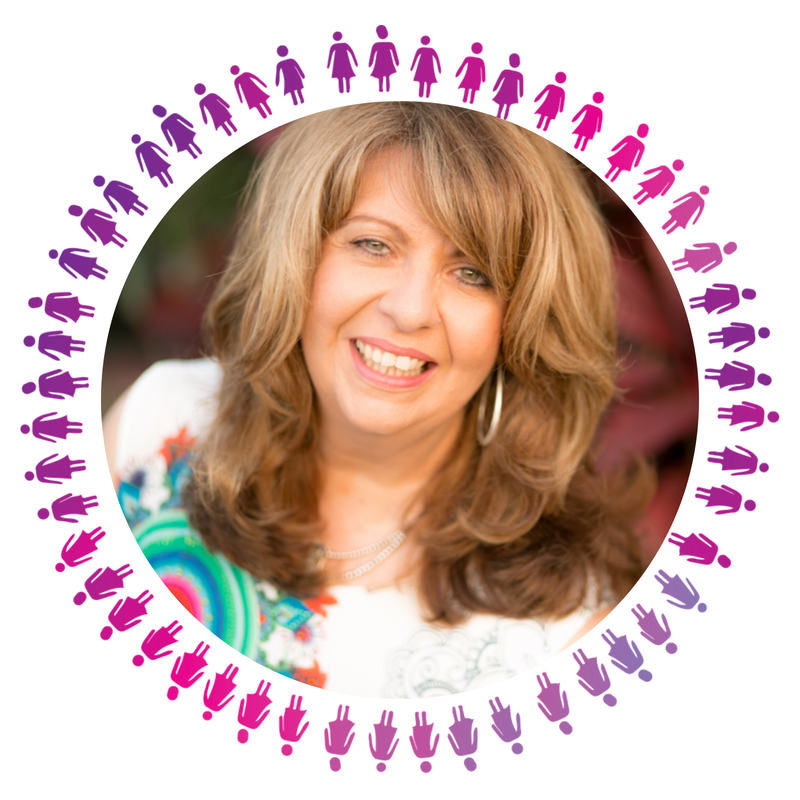 She'll show you exactly how to revolutionise your menopause, and bring energy, freedom and passion back into your life. Hetti is a nurse and academic. She's researched and practiced a range of different approaches, and worked alongside many health and healing practitioners over the years. From Western science to Eastern philosophy what she learned has transformed her own health and well-being. We are thrilled to share that Lou Conyers of Move Move is Bloom Bayside's Guest Speaker for July! Lou will share the 3 Steps to a Happier You! Stiff back? Achy knees? Tricky shoulder? Stop blaming Father Time and instead discover the freedom that comes when you train your body to handle real-life situations. Lou owns Move Move, a fun-filled, full-service, Pilates studio in Cheltenham. Lou and her team have been teaching "real" people the true benefit of practicing Pilates for almost a decade. Her talk sheds light on Pilates as functional fitness. Come and learn why when it comes to movement: Less is more. It doesn't have to be hard to be good. When it comes to getting women moving, Lou is passionate and motivated. With 10 years of experience teaching in and owning Pilates studios, Lou aims to help other women "find their happy". Our special guest speaker Nichole Maybury will show us how to maximise your brand, and discuss branding opportunities and challenges for small business. Nichole will also delve into personal branding. About Nichole: Nichole Maybury is a communication specialist, graphic designer and photographer. Nichole is passionate about excellence in design and communication, and is an advocate for small businesses having strong, consistent brands. Through her business, Maybury Ink., Nichole provides creative and communication services including branding, communication strategy, professional writing and headshot photographs. After more than 20 years working in graphic design, marketing, communication in the higher education and sustainable energy sectors, Nichole started Maybury Ink. in 2011. Her qualifications include a Bachelors degree in graphic design and a Masters degree in professional communication (majors in writing and public relations). 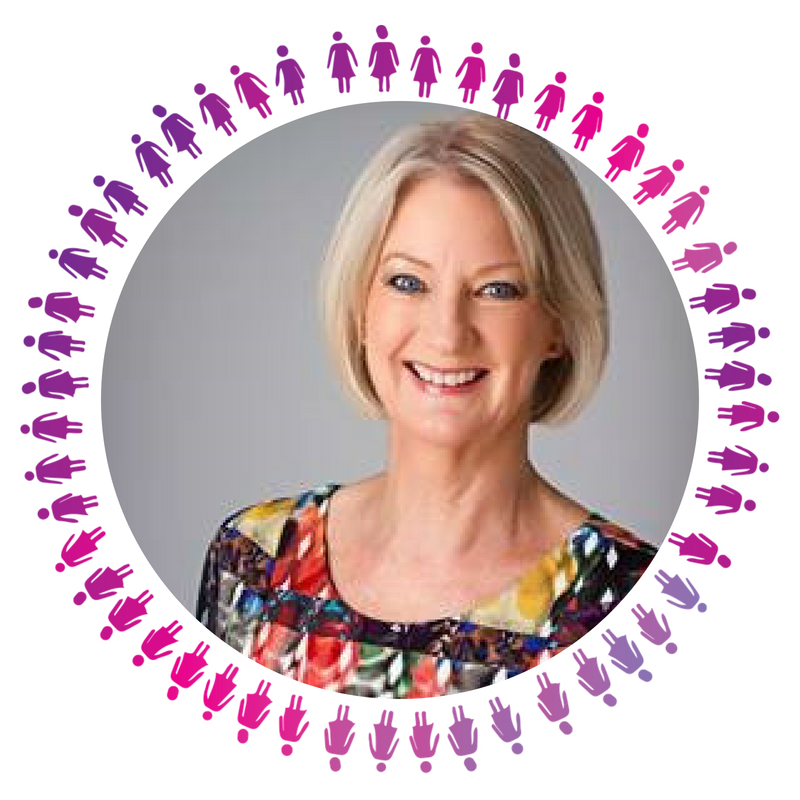 Bloom Melbourne South East's inspirational guest speaker for July is Christine Stowe! Christine will share how to apply for government grants and being successful in getting the money. Christine is a Speaker, Author, Inspirational Woman: When Christine found out something was wrong with her daughter at three months of age, she had to reinvent herself. Since then, she has stood in a State Election, Elected to Council, Completed an MBA, established support groups, a Holiday Programs and a Special School. 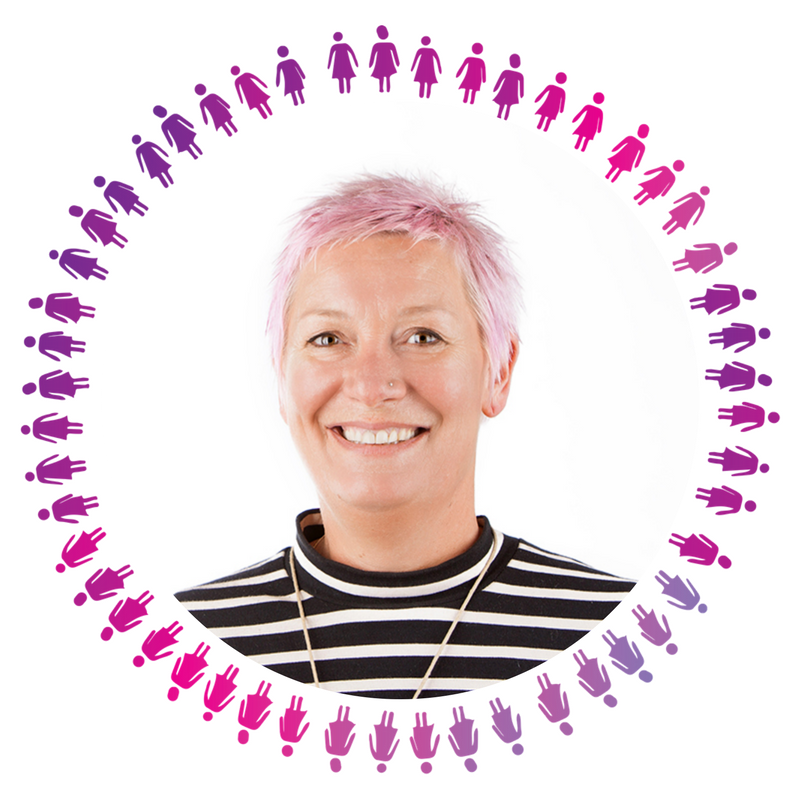 From Lab Tech, to sales, to Carer to Councillor – she now speaks to Women about her Journey and "Stepping into YOUR Power" - how you can find your gift and bring it to the market place allowing Women to be empowered to stay at home and made a contribution... to realise their true value. We are thrilled to share that Angela Di Rago of Liberty Financial is Bloom Mornington Peninsula's Guest Speaker for July! 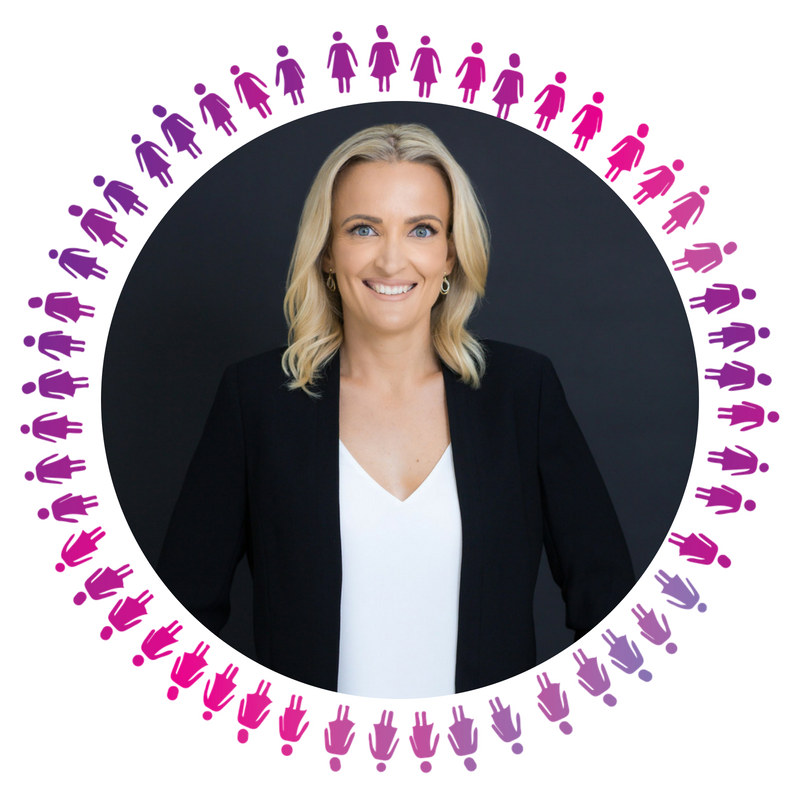 Angela will share how to 'Claiming Your Space', and why it's important to find your unique voice, both as part of the value proposition of your business and as a female entrepreneur. 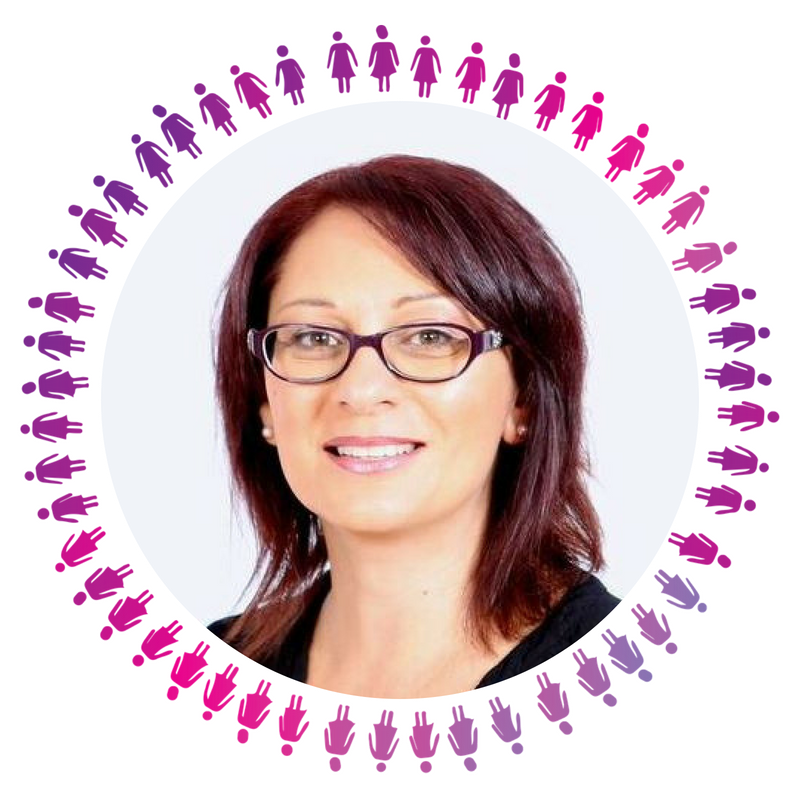 Angela Di Rago is a career financial services lawyer and compliance expert, with over 25 years’ experience and has a particular interest in business risk, culture and the importance of trust in building and maintaining professional relationships. Vicki has 20 years of professional experience from International Speaker, Wholistic Psychotherapy, Mentor, Workshop Facilitator, Trainer, Resource Creator and Teacher to EFT Practitioner, Coach, Life Strategist, Hypnotherapist, Author, Global Book Compiler and soon to be Global Publisher of books and magazines. Her passion outside of her family is to weave Personal Development into every book she writes/compiles, every talk she presents and every course she teaches. Throughout all of her work, including her Global Anthologies, Vicki leads Intelligent, Ambitious Women into unveiling their greatness so they can fearlessly step into their power. All her book contributors are given the unique opportunity to be featured in magazines all over the world and their stories and brands be exposed to over 650,000 subscribers. 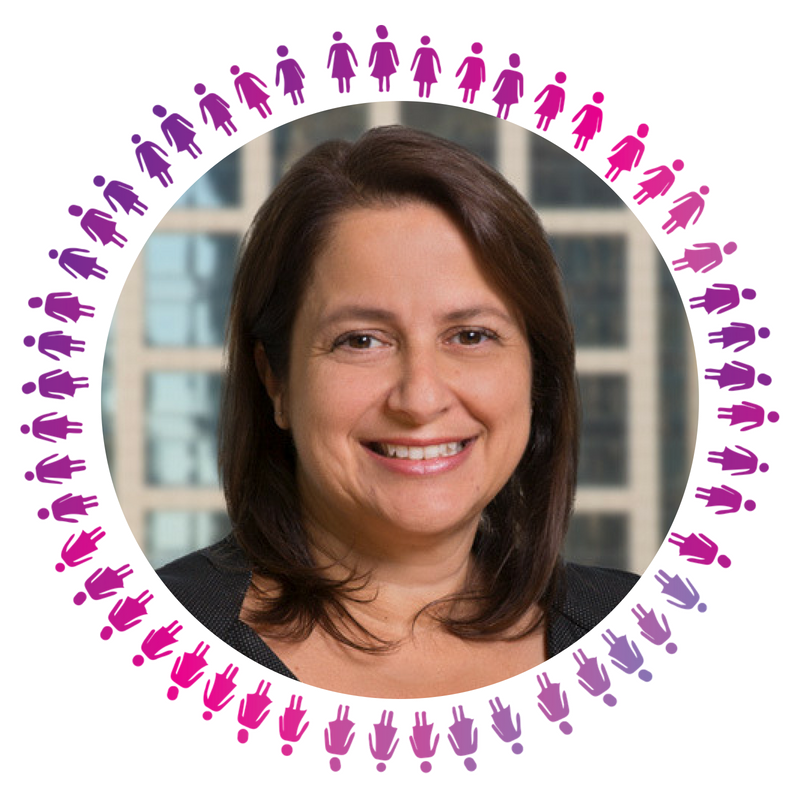 We are thrilled to share that Androulla Sakkas of Empowerbeyond is Bloom Casey's Guest Speaker for June! Androulla will share how having the skill set and knowledge relating to the specific industry is important but there are so many factors that some business owners neglect to focus on that contribute to the alarmingly high rate of failing businesses. How not to fall into that category. 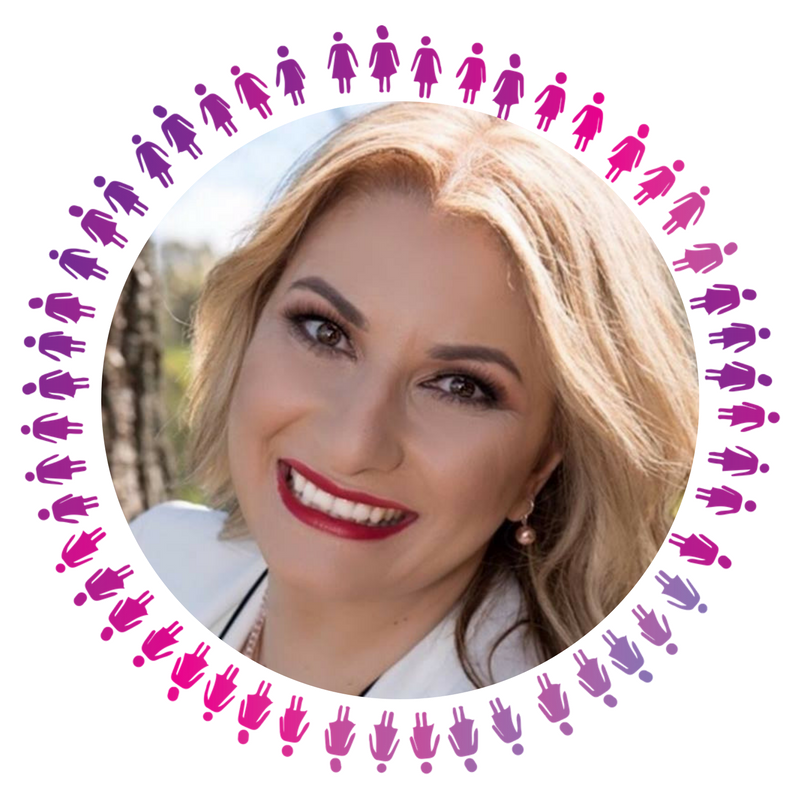 Androulla Sakkas, the Founder of EmpowerBeyond with over 20 years’ experience working with businesses to increase their productivity and financial confidence through the incorporation of business performance solutions. Having started her career in Accounting and working closely with the people at the forefront of the operations of the business she has a sound knowledge on what drives an efficient and profitable business with less overwhelm and stress. She believes that no problem is too big or too small, it's how you choose to deal with it that really counts. As a highly skilled consultant and business mentor, Androulla knows what it takes to have a sustainable business with the potential for growth, a business that will work with the owner’s needs. Want to learn how to get a lifetime of free publicity for your business? 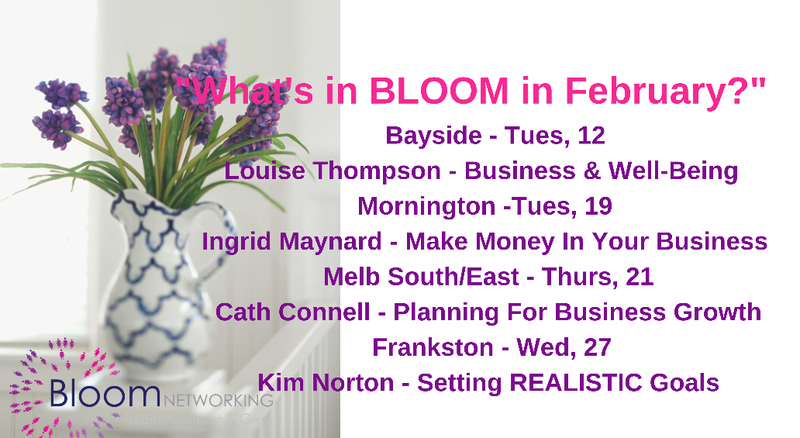 Then you NEED to attend Bloom Mornington's June Meeting! Jules has a big personality and infectious enthusiasm which she uses to great effect when she teaches. She manages to simplify the whole process to make handling your own PR an easy. 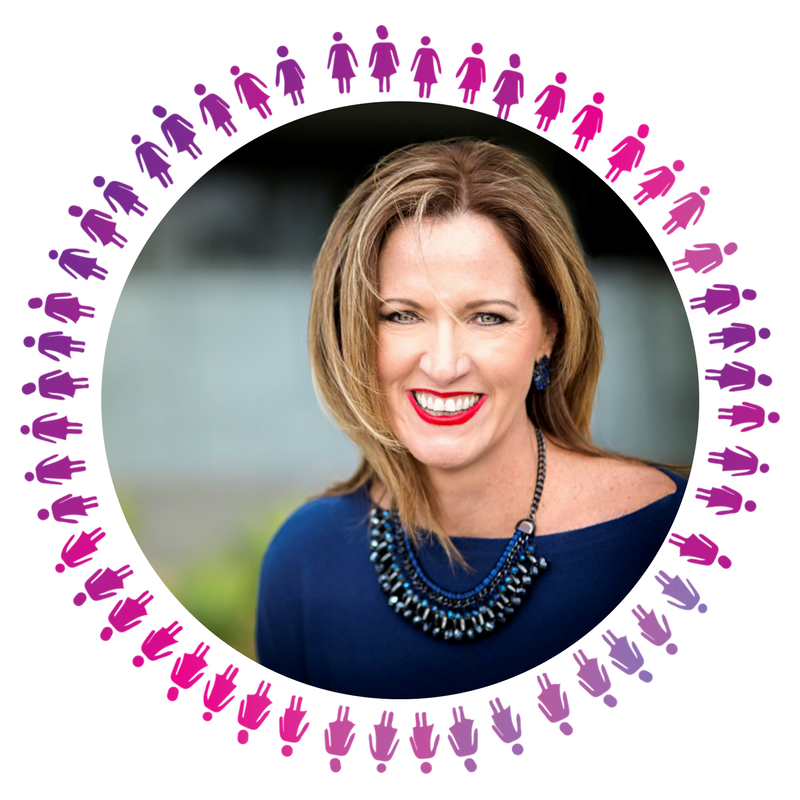 We are thrilled to share that Tara Bulum of Plan It Biz Success is Bloom Mordialloc's Guest Speaker for May! Tara's presentation 'Accomplishing Aligned Action' will use aligned action to supercharge your efforts.There will be activities for you to identify what your Aligned Actions are and assist you to be doing more of them. Aligned Actions not only feel good they are increase our productivity, easier to do (both skill and motivation wise) and bring us more fulfillment and satisfaction. Tara Bulum is the founder of Plan It Biz Success (established in 2004), mother of two children and is a creator and entrepreneur. Tara has imparts her wisdom and knowledge in the talks, training, coaching and mentoring programs she regularly facilitates. She utilises mechanisms, tools and supports people to step outside of their comfort zones, into business success that they are passionate about, which feeds them and their lifestyle. In the process they build a deeper connection with themselves, their family and their customers. We are thrilled to share that Author, Coach, Facilitator, Trainer, Speaker and Mentor Shelley Flett is Bloom Frankston's Guest Speaker for May! Shelley will share how to create the right culture for your small business and build your skills as a leader. An expert in leadership development and team performance. With over a decade of experience in customer service and operations across banking & telecommunications she is focused on maximising efficiency and building high performance team cultures. As author of The Direction Dilemma Shelley works with leaders and business owners across a variety of industries to break through their challenges and help them progress. We are thrilled to share Nella Chikwe, Founder of The Unstoppable Woman Of Purpose Global Movement is Bloom Casey's Guest Speaker for May! 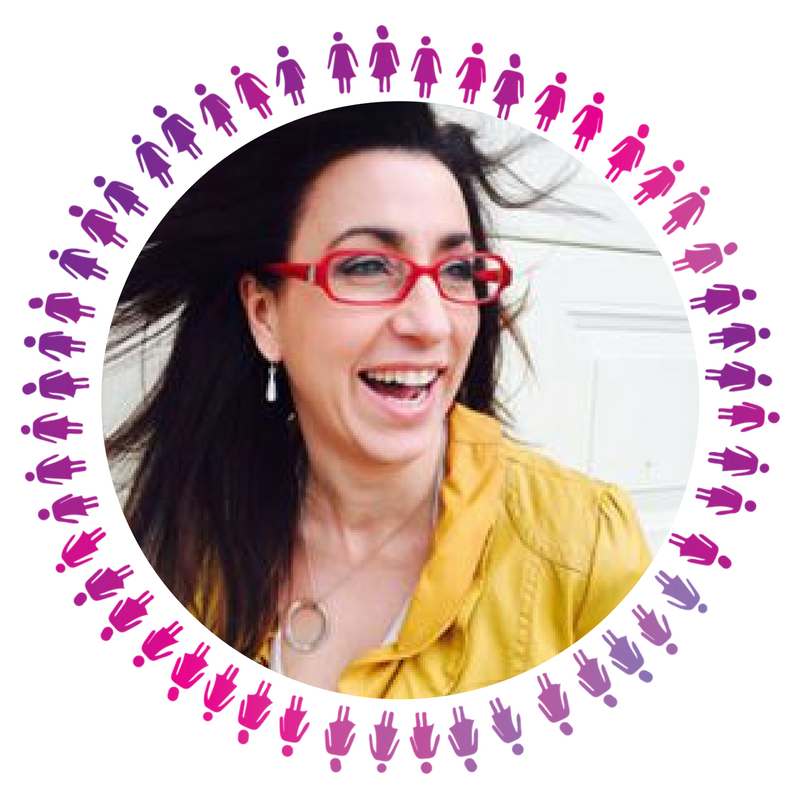 Nella will share her powerful presentation 'Your Purpose 2 Profit - Leverage the Power of Your Propelling Story'! 'As a global leadership adviser, I am passionate about helping high achieving leaders increase their value and influence globally by sharing their story. As their Story MATTERS! Allowing voices to be heard, elevating expertise, increasing brand exposure and business profitability through speaking, writing and publishing. These are lucrative marketing fundamentals that every executive and entrepreneurs should adopt in their business model today! How many executives and entrepreneurs are keeping their “IP” hidden? 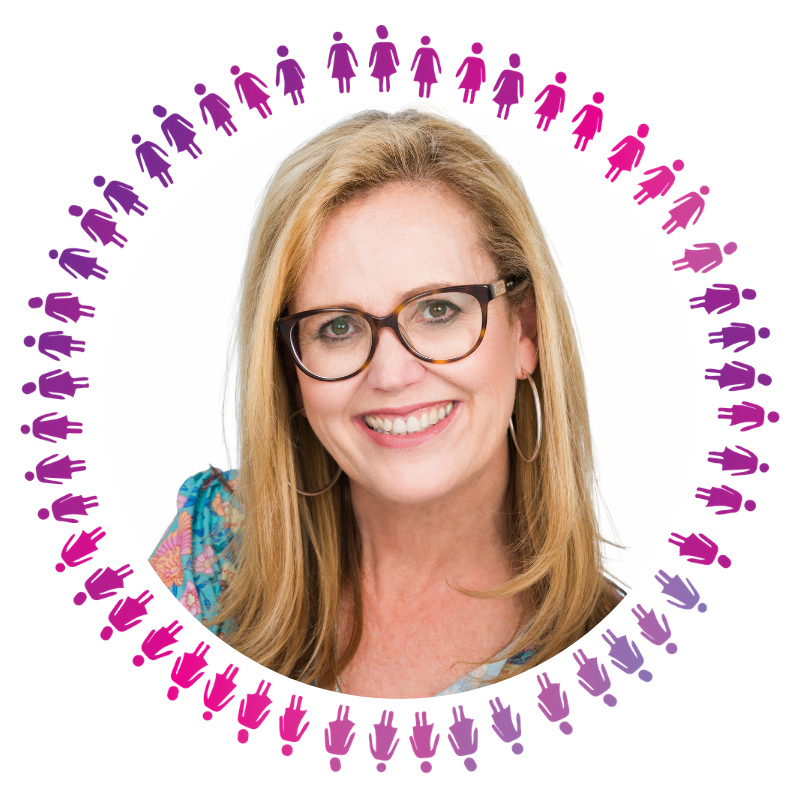 We are thrilled to share that Merrin Munroe of The Small Business Geeksis Bloom Mornington Peninsula's Guest Speaker for May! Every entrepreneur can benefit from participating in a great mastermind group, to help brainstorm business ideas on a regular basis. We are thrilled to announce that Prosper Taruvinga of Livelong Digital. Prosper will share how you can create a personal brand that makes a lasting impression without changing anything. Your Customers will buy from those they know like and trust. When you create a personal brand, you increase the trust and intimacy that is lacking in the market right now. Instead of shouting too loud to be heard, bring people closer to you by showing them who you are and actually helping them by helping them. 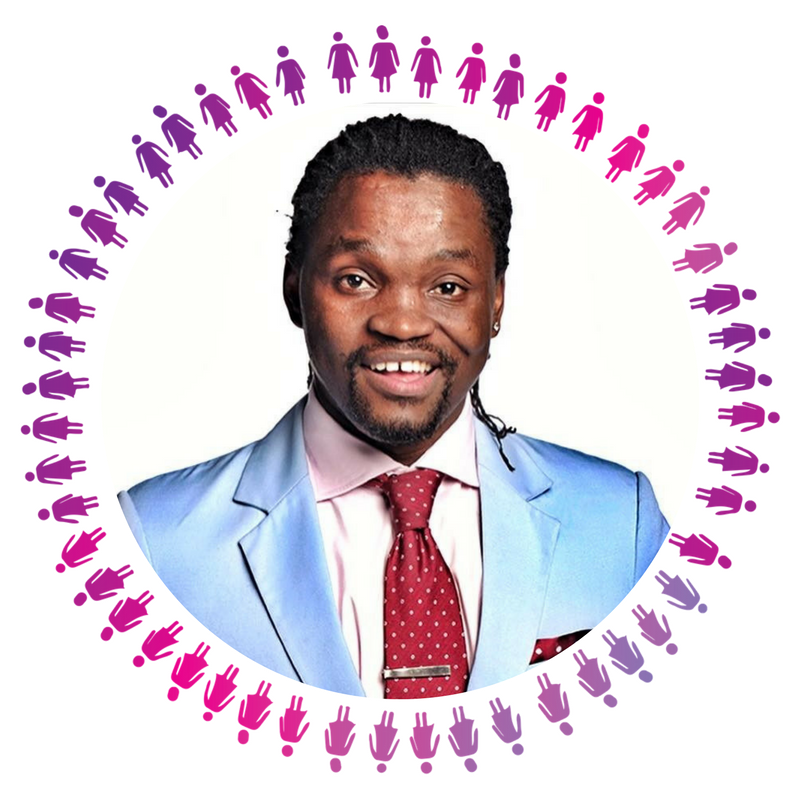 About Prosper: Prosper Taruvinga was born in Zimbabwe and now living in Melbourne, Australia, with wife, Angela and daughter Kaliyah. A die-hard about personal development, lifestyle design, and entrepreneurship. He is inspiring others to achieve a happier existence through writing and podcasts on his website www.abod.com.au and Digital Agency Livelong Digital. Here he helps Coaches, Consultants and other service professionals, package, brand and Market their services so they have a business that's enjoyable and profitable.He believes everyone has the chance, yours is around the corner if you allow yourself to grab it. Jerry Penny will show you how to *Bloom* your online profile with social media & video! Jerry will cover the ins and outs of the social jungle so you can Bloom your Biz online! How to promote events and groups. How to increase your profile on all social media. The best way to use hashtags on Instagram. There are so many ways you can increase your profile online. 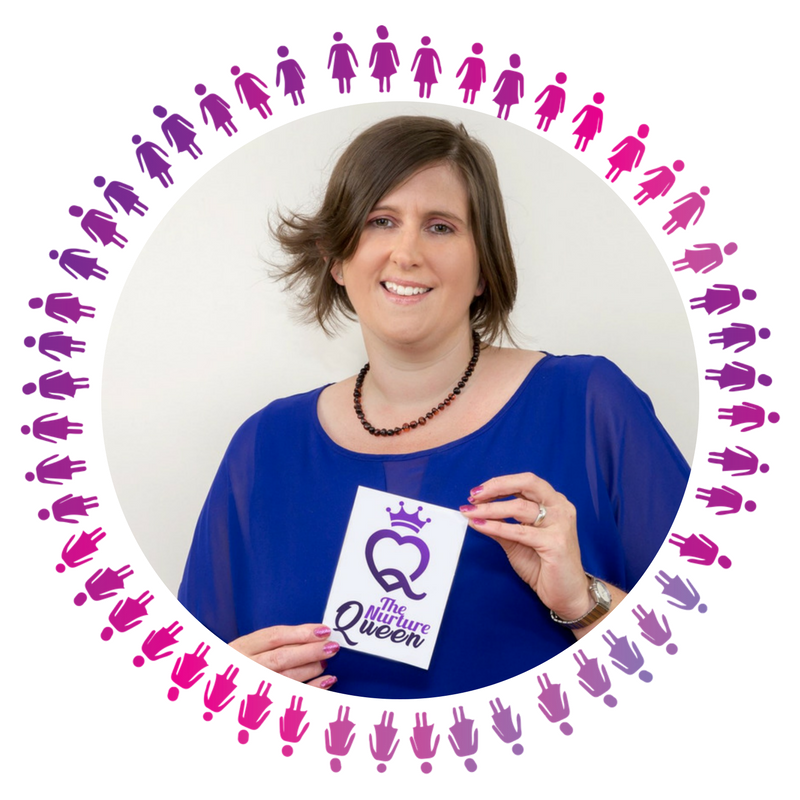 Jerry Penny - known as The Nurture Queen, is a passionate business owner whose passion lies with relationship and nurture marketing. She is also a video marketing junkie and loves to teach people how to use video correctly on social media. It's not going anywhere, so embrace it! Jerry's corporate background in marketing communications and her creative flair and love of good customer service makes her the ideal person to teach you the ins and outs of promoting yourself on Social Media. 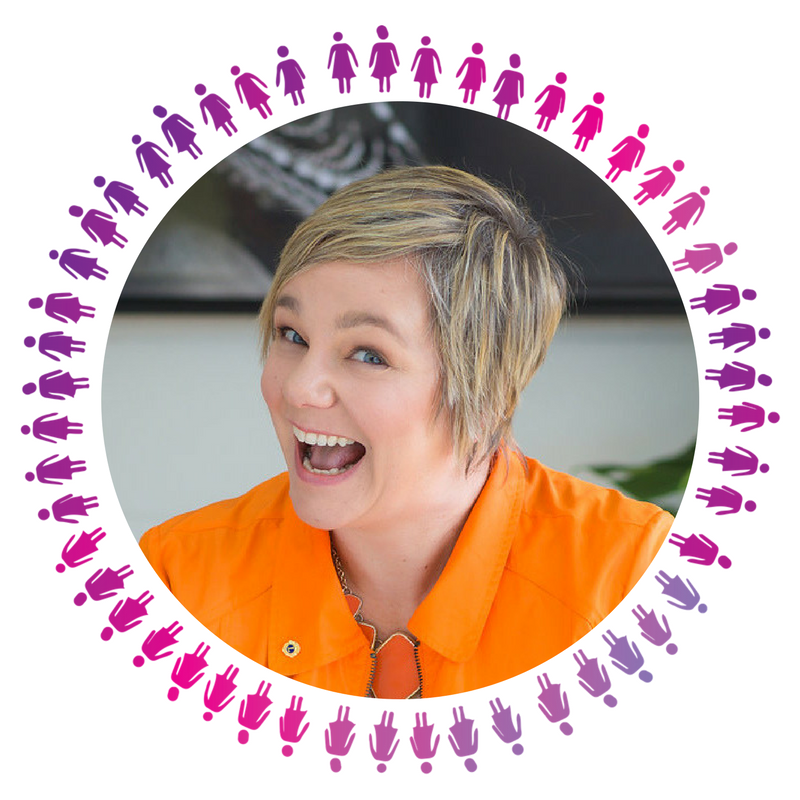 Ready to find some balance... We super excited to announce that Robyn Amott of Bless This Mess is Bloom Mordialloc's Guest Speaker for April! Many small business owners struggle with the whole work / life balance. It’s especially hard when your home is your office. 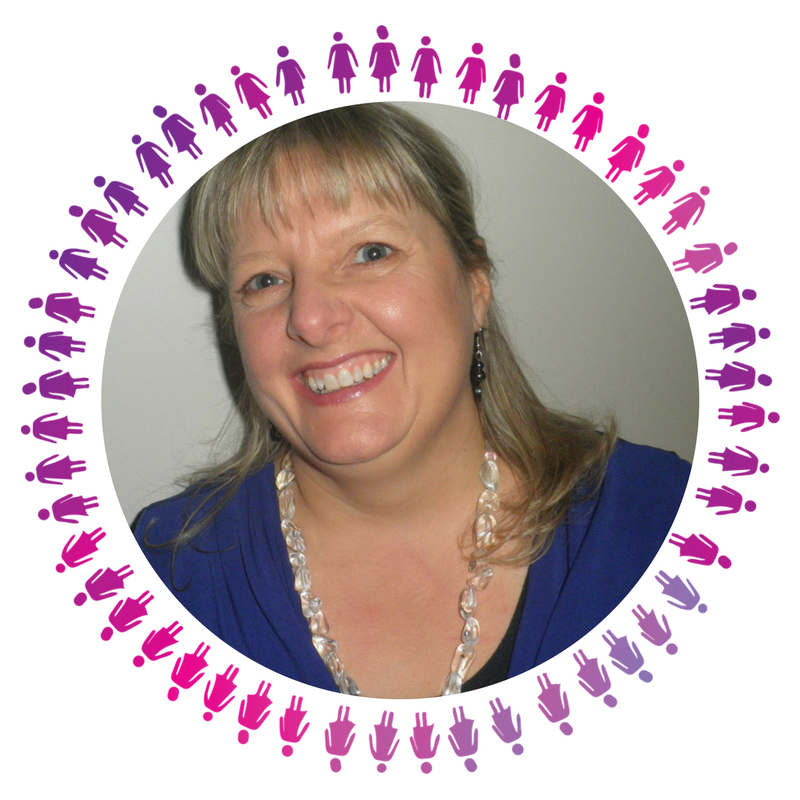 Robyn will empower us with the skills to organise your work / home space and life. Through the organisation process of setting up systems and our general environment. You can establish greater productivity within all aspects of your life. 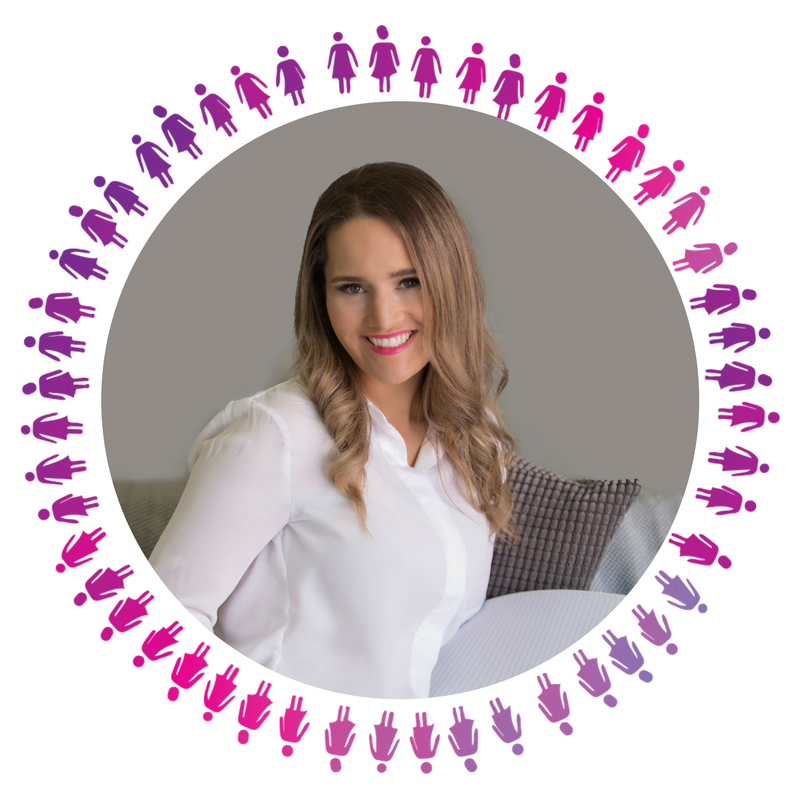 Robyn Amott is the founder of Bless this Mess Professional Organiser and Decluttering Services (established in 2011), Professional Member of IOPO (Institute of Professional Organisers) an Expertly Accredited Organiser and the proud Mumma to two primary aged daughters. Robyn’s true passion is in supporting and coaching her clients, empowering them with valuable concepts, skills and systems needed to reclaim and maintain the spaces within their home, office, life or small business and achieving a clutter free, stress free environment and lifestyle. Robyn takes a ‘less is more’ approach to systems and routines, and believes that long term results are achieved through a change in mindset, healthy habits and routines. April in Mornington is all about goal setting! Our Guest Speaker Jo Schutt will discuss setting goals, discovering what your time is worth and what you need to do to make your business financially and emotionally rewarding. 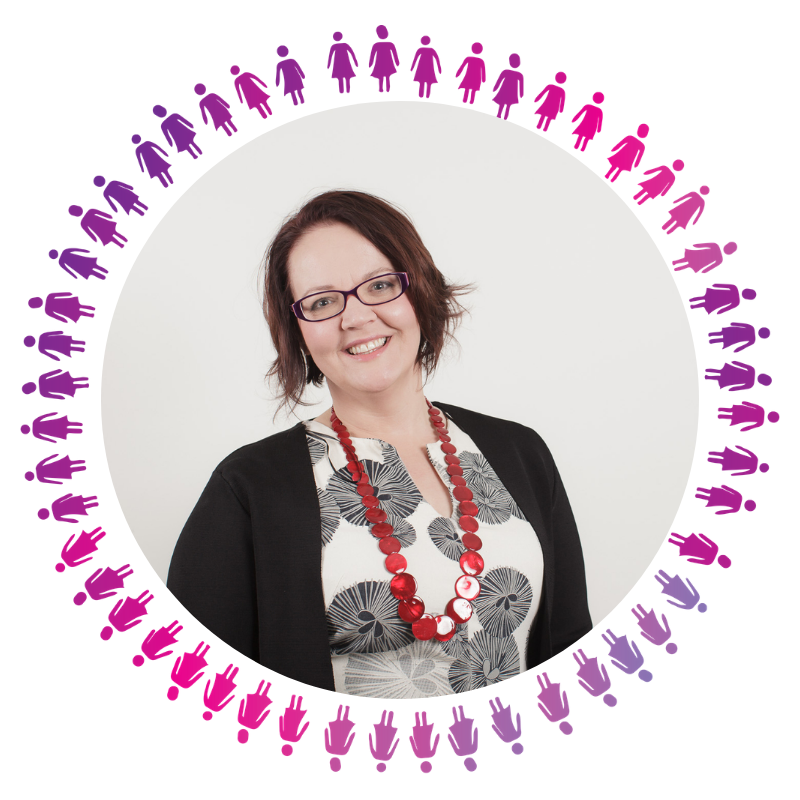 Jo has been working with creatives, holistic practitioners and business consultants for the last 9 years, helping them to grow their businesses. Her passion for creating new things and “give it a go” attitude along with her love of learning has lead to the development of knowledge in many areas of running and growing a business including event planning, commercial leasing, website development, networking, online commerce, marketing, social media and business strategy. 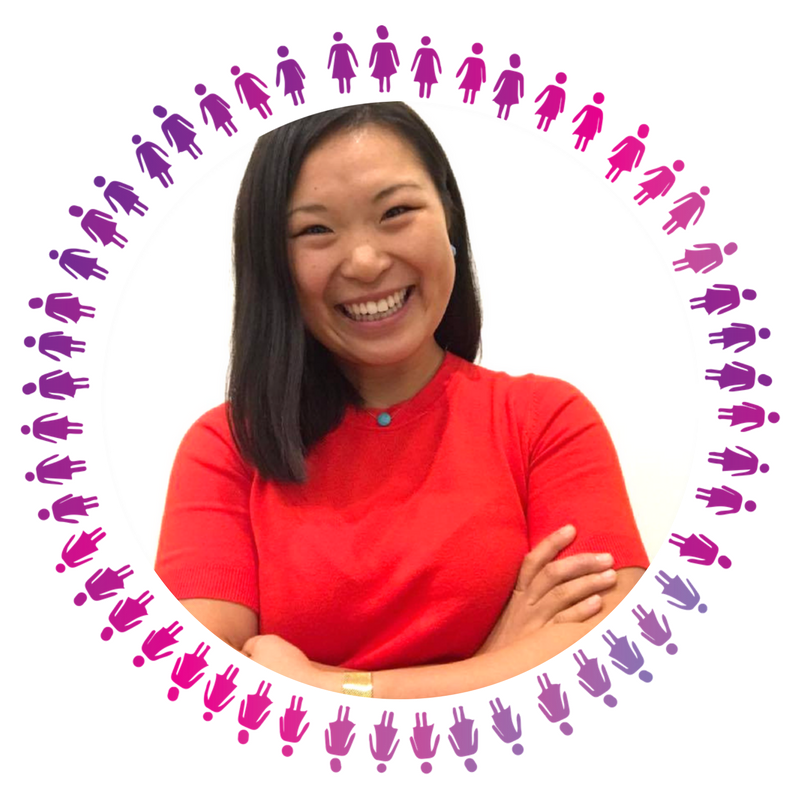 We are super excited that Calantha Chan of 'My first 10K as a Beginner Coach' is joining us as Bloom City of Casey's Guest Speaker in March. Calantha will take you through the 3 stages she teaches other coaches and small business owners. 18 months ago, she worked as a mentor and salesperson at one of Australia’s largest Coaching Schools, coaching and enrolling new students. There, she noticed that only 1 in 30 students were working with paying clients. So 12 months ago, she embarked on a mission to interview over 100 coaches and business people to understand what was holding coaches back from being successful in their businesses. We are thrilled to share that Mary Trantino of Photography Business Academy and Ultimate Business Academy is Bloom Frankston's Speaker for March! Mary will take us through 'How to deal with the top 5 decision making personalities of your clients'. By understanding the 5 key purchasing decision making personalities - Mary call's them the BIRD PERSONALITIES, you will know exactly how to present your product to every type of customer to get the maximum sales results and have them loving your brand. We asked Mary to tell us about her businesses:'Hi I'm Mary Trantino, the founder of the Photography Business Academy and Ultimate Business Academy. I founded these Academies with one clear vision - to revolutionise the photography and retail industries by helping business owners be valued, rewarded and absolutely loving what they do. I do this by creating systems for your business model, marketing and service delivery to gain confidence as a business owner. LET ME EXPLAIN...The Academies provide coaching for creatives and entrepreneurs who perhaps struggle with the business side of their business. We're not all born with the business skills to run a successful business as well as pursuing our passion. My goal is to make your business as fun and exciting as the product you are selling - just the way it should be. But that's only half of the story of running a business. I ensure the other half of your business is working by making it profitable with a strong focus on exceptional client experiences. 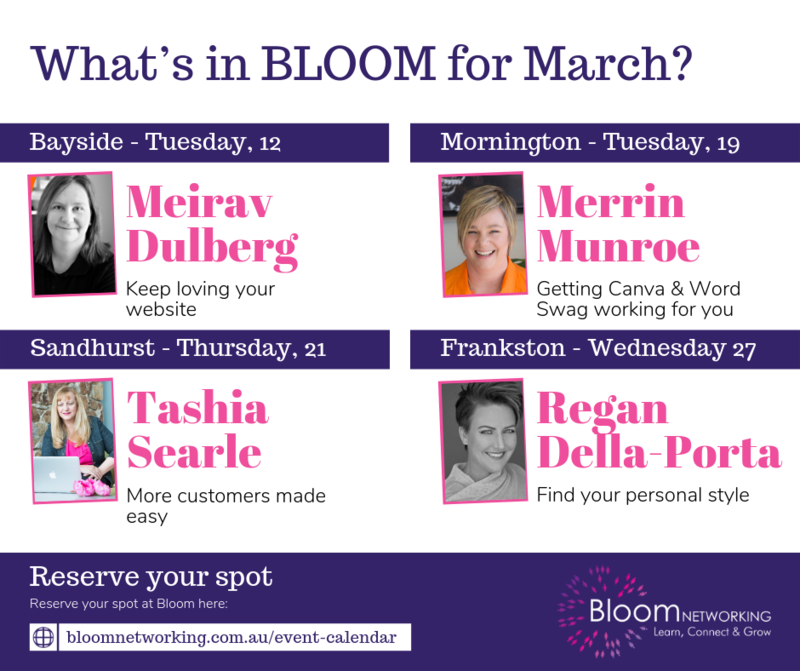 We are thrilled to share that Melonie Tayler of Success on Purpose is Bloom Mordialloc's Guest Speaker for March! Join us to learn how to make life and business more FUN! How to receive more by learning how to BE? How to connect with the inner child within? How to awaken your FUN METER to view life as a game and increase energy levels to be more productive in business? Melonie is the Chief Energy Officer of Success on Purpose, which was created to make the shift from supporting clients to die well, to supporting clients to live well. Melonie has many qualifications in the health industry, a winner of The Order of Malta Award (First Class Honours), as well as a student of Metaphysics with Dr Rosemary McCallum (Abundant Life Solutions). As a Palliative Care Nurse for 18 years and through her own experience of burnout, anxiety and depression Melonie learnt it is not sustainable to keep giving without receiving. As a Success Mentor and author, Melonie supports professionals to not wait until it's too late, live life now like there's no tomorrow! Become a one hundred percenter through the release of limiting belief systems and fear based emotions to learn how to receive in order to contribute more to the world and allow dreams to manifest into reality. We are thrilled to share that Ingrid Maynard of Beyond 19 is Bloom Mornigton's Guest Speaker for March! Revenue is the lifeblood of any business. Without sales, there is no business and without a predictable sales pipeline, taking your business to the next level is difficult. For more than 25 years Ingrid has worked with organisations to make selling easier. Her corporate life began with The Body Shop Australia and Body Shop International (UK) in sales training and market development. Not long after, she founded and ran companies which provided outsourced prospecting solutions and face to face sales solutions for Australian and International clients. Running a business is hard enough: learn how to love your clients and have them love you. We are thrilled to share that Life Coach Ema Borg is our guest speaker for the February City of Casey meeting. Ema will share the 'Emotional Code – leading through Emotions'. Taking us through the 5 base emotions, the purpose, the benefits and the most unique part of the Code, the question. Having a deeper awareness to your emotions and being able to lead through will clear away the complications, making way for a deliberate simplicity. We may live in a complex world, but life is meant to be simple and easy. Ema facilitates and created 'The Unique Freedom Formula' 2 day course, and the ‘Phoenix Rising Method’ working with me 1:1, clearing away all the complications, confusion to create a simple life that you can thrive in. She is passionate about helping you find the real deep awareness from within. Minus all the noise of what you 'should' be doing, helping you get what you truly need and create a life that you choose to embrace every step. 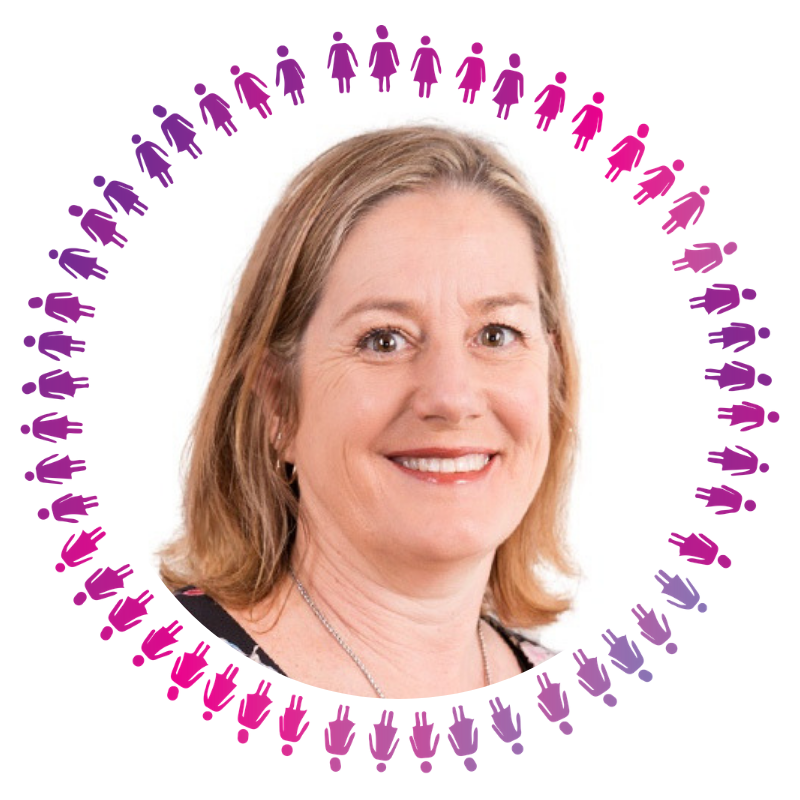 This month Bloom Frankston's Leader Jo Violeta is our guest speaker! 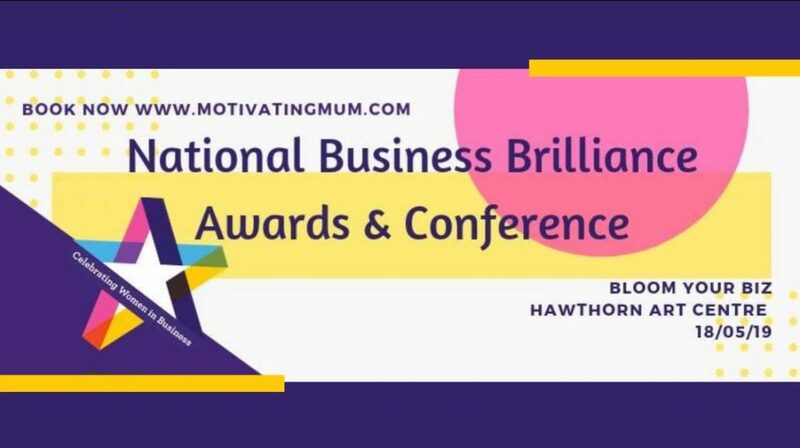 Jo will share how Business Awards can help grow your business by establishing authority, opening opportunities for joint ventures, attracting more clients and increasing conversions. Learn the EXACT process Jo follows when applying for Business Awards. 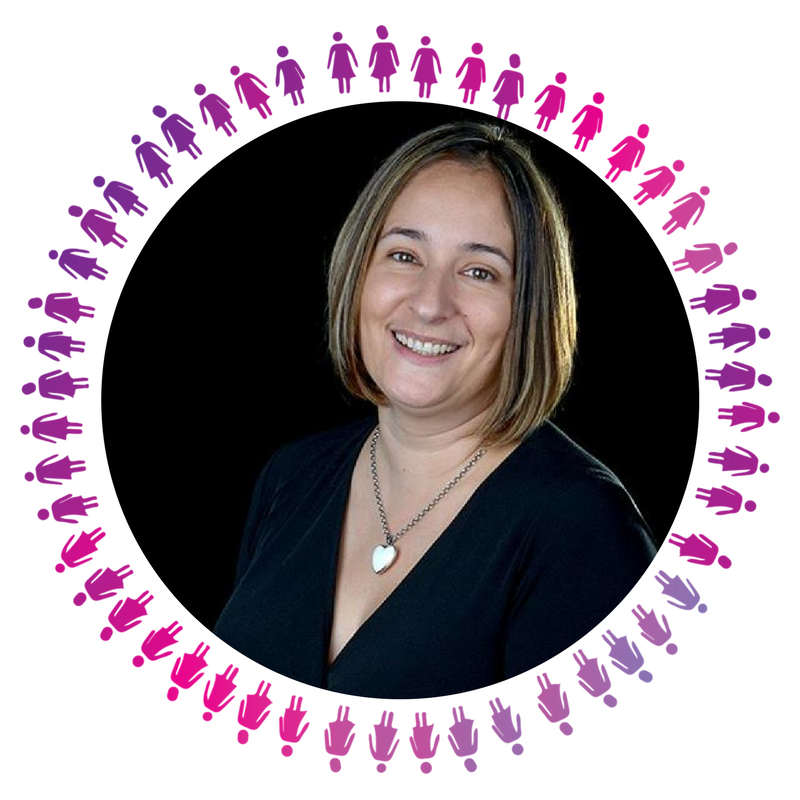 Jo is the Community Engagement Manager for the multi-award winning Mortgage Brokerage Violeta Finance. 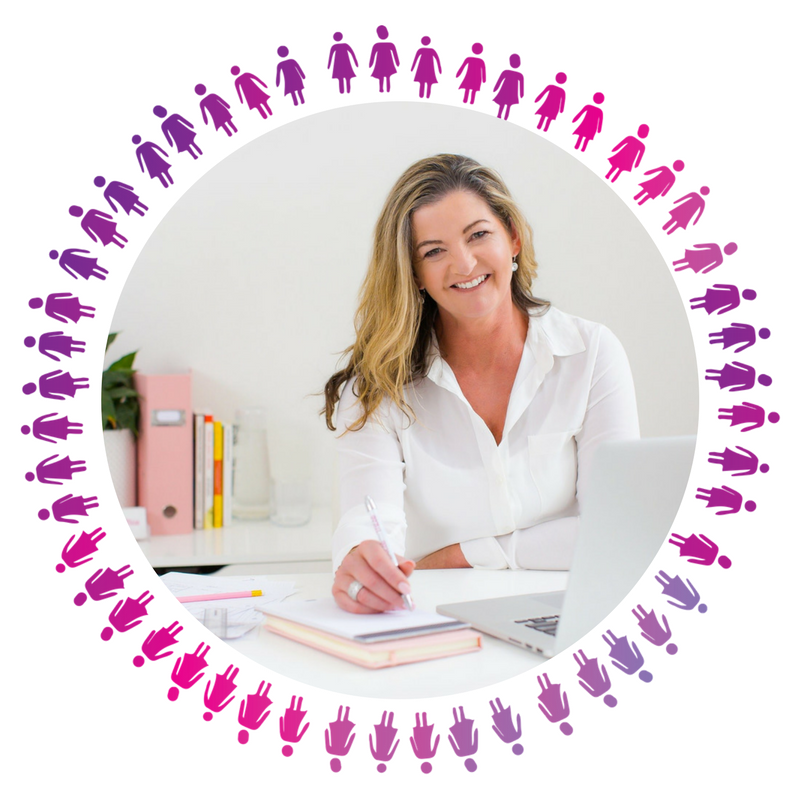 At Bloom Networking Mordialloc we are very excited to feature Package Guru and Holistic Business Strategist, Kleo Merrick as our guest speaker. Kleo will share how to plan your content creation for your target market. Kleo is a successful business owner, speaker and adviser to businesses and startups. Her audience stretches all across Australia and has been described as “Energetic”, “Inspiring” and “Humorous”. Kleo is the CEO of Mindstream Coaching and the creator of Mindstream Business Academy, a company she founded in 2013 where she runs successful events and also teaches businesses how to increase profits by leveraging their skills & knowledge and packaging their services. She is the author of, ‘Compelling Selling: How To Earn More By Selling Less’ and creator of her signature online program ‘How To Get Your Sparkle Back’. We are thrilled to share that Author, Property Investor and successful business owner Tanya Somerton is Bloom Mornington's Guest Speaker for February! Tanya will share the key lessons every healthy marriage can learn from someone else’s divorce. Tanya's book The Jelly Bean Jar, is essential reading for anyone dealing with a relationship breakup. She has purchased numerous investment properties across Australia, and was featured in Your Investment Property Magazine. 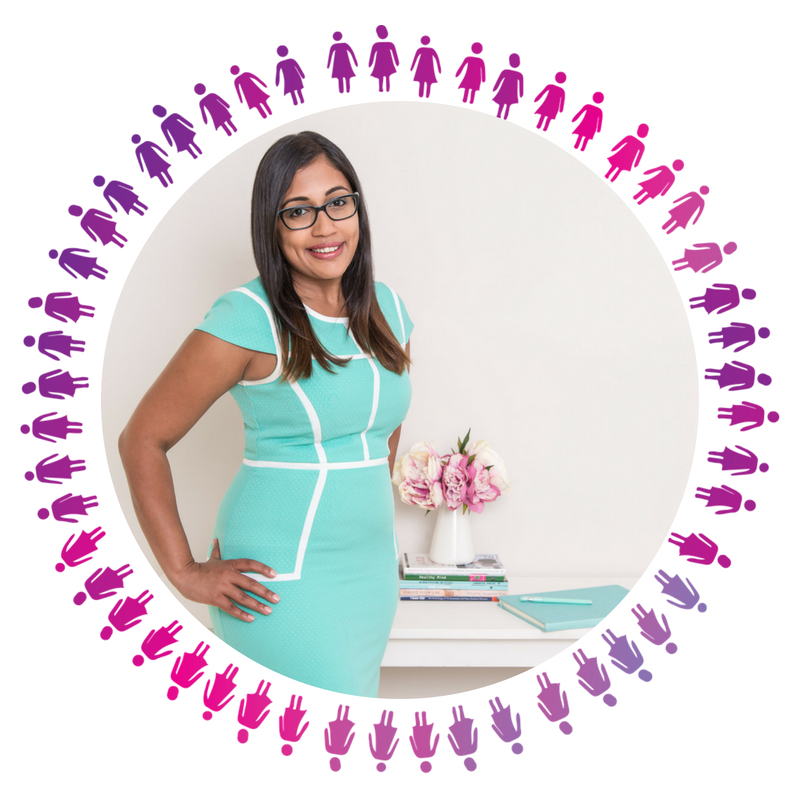 Her passion for helping women opened the doors to a network of like-minded individuals and female business-owners who wanted to support and be involved with Tanya’s vision. Working as a team, they help streamline the process of divorce so that it is not so overwhelming. With her ‘army of angels’, a fee-for-service business model, and a position statement which encourages a seamless and amicable divorce and support in building a stable future thus a new business was born.